Cuba will undergo its Universal Periodic Review (UPR) before the UN Human Rights Council this May 16, where it will have the opportunity to show progress made in the application of a socio-economic model centered on human beings and which seeks to guarantee its citizens as many rights as possible. This is the third time Cuba will be undergoing the UPR, which assesses the human rights records of all UN member-states every four and a half years. The last time Cuba presented its report on human rights was in May 2013. Granma shares a list of some of the island’s human rights achievements over the last five years. The Proclamation of Latin America and the Caribbean as a Zone of Peace, signed by member-nations of the Community of Latin American and Caribbean States (CELAC) during the organization’s Second Summit in Havana, January 2014, is an undisputable contribution by Cuba to the stability and development of the region. With the entry in to force of Law 116 (Labor Code) in 2014, Cuba updated legislation in this field to include new rights which place it among the most progressive in the world. The new Code recognizes every citizen’s right to equal access to employment and the right to work, regardless of skin color, gender, religious beliefs, sexual orientation, origin, disability or any other reason prejudicial to human dignity. In May 2014, Cuba presided the 67th World Health Assembly, which took place in the Palace of Nations, in Geneva, Switzerland, and attended by the World Health Organization’s (WHO) 194 member-states. Dr. Margaret Chan, then WHO director general, congratulated Cuba on its work as president of the 67th World Health Assembly and highlighted the international island’s solidarity which has seen tens of thousands of Cuban doctors and specialist helped to save millions of lives throughout the globe since the triumph of the Revolution. 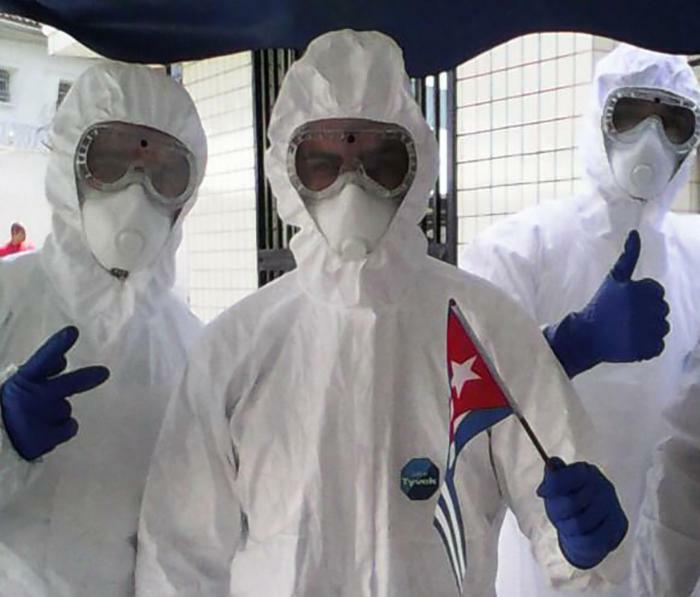 Cuba was one of the first countries to respond to the emergency call by the UN and WHO to help combat Ebola in West Africa. The island sent 262 doctors and nurses trained to respond to health emergencies who worked around the clock in Sierra Leone, Guinea and Liberia for almost seven months before finally bringing the outbreak under control. In May 2017, during the 70th World Health Assembly, the WHO presented the Lee Jong-wook Memorial Prize to Cuba’s Henry Reeve Brigade, in recognition of its work combating natural disasters and serious epidemics. In 2014 the Cuban government began to implement a series of measures to address population aging; a major challenge for the country given its impact on the social and economic life of the island. The measures are designed to stimulate birth rates, address the needs of the country’s growing elderly population, as well as promote and strengthen employment among those eligible to work, as part of the government’s efforts to guarantee citizens their fundamental rights. 6. REESTABLISHMENT OF DIPLOMATIC RELATIONS BETWEEN CUBA & THE U.S.
On December 17, 2014, Presidents of Cuba and the United States, Raul Castro and Barack Obama respectively, announced that they would work together to reestablish diplomatic relations. Progress over the following two years included the signing of 22 agreements on issues of mutual interest, and demonstrated Cuba’s willingness to maintain civilized relations with its northern neighbor despite differences, and always on the basis of mutual respect and equality of conditions. After a thorough review by the Pan American Health Organization’s Regional Committee, the United Nations Children’s Fund (Unicef) and the Joint United Nations Programme on HIV/AIDS (UNAIDS) – which included key aspects from medical attention to human rights – in June 2015, Cuba became the first country in the world to receive validation from the WHO of having eliminated mother-to-child transmission of HIV and congenital syphilis. Over 10 million people worldwide had learned to read and write by late 2015 through the Cuban developed literacy method “Yo sí puedo” (Yes, I can). The initiative has been recognized by Unesco on numerous occasions and received the King Sejong Literacy Prize in 2006 as well as honorable mentions in 2002 and 2003. In 2006 Cuba was elected as a full and founding member of the new Human Rights Council set up to replace the discredited Human Rights Commission. 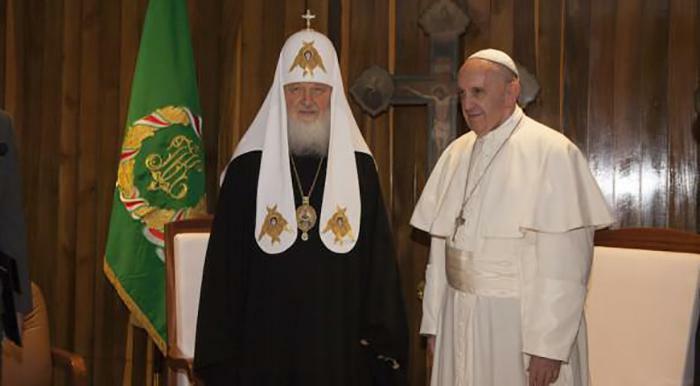 The United States, the self-proclaimed poster child for human rights was not elected to the Council. Honoring its commitment, Cuba served two consecutive terms (the maximum established) on the Council, and following a brief hiatus, was elected as a full member again in 2013 for the 2014-2016 period and then later in October 2016 for the 2017-2019 period thanks to the support of 160 countries in a UN General Assembly vote, which saw Cuba received the most ballots. Cuba achieved the lowest infant mortality rate in its history in 2017, with 4.040 for every 1,000 live births. This figure places Cuba on the same level as several developed nations in Europe and well above the United States, where the infant mortality rate stands at 6 for every 1,000 live births. In May, 2017, the Seventh Congress of the Communist Party of Cuba was held. Presented during the event were the conceptualization of the country’s socio-economic model; bases for the national development plan through 2030; and the 2016-2021 update of policy guidelines, all designed to help build a sustainable and prosperous socialism in Cuba. The documents then underwent a broad process of national debate before being approved by the National Assembly. At a global level, Cuba is a strong defender of efforts to combat climate change. Nationally, a plan known as Tarea Vida, or Project, life was approved to mitigate the effects of climate change through 2100. A gradual rise in sea levels represents the biggest threat to Cuba, facing land loss due to continual flooding with a marked impact on coastal areas and agricultural activity. Two powerful storms, Irma and Maria, left many Caribbean nations devastated during the 2017 hurricane season. The scale of the disaster revealed the impact of climate change on the region and its weaknesses in the face of increasingly severe natural disasters. Although Cuba was also hit hard, the island sent solidary aid to the worst affected Caribbean countries including Dominica, and Antigua and Barbuda. As well as sending emergency humanitarian aid via sea, brigades of electricians, construction workers and forestry specialists joined medical teams already stationed in said countries to help with recovery efforts. Cuba continues to rigorously comply with UN procedures and mechanisms linked to human rights; an example of which were visits in 2017 by independent UN experts, invited by the Cuban government. The first was Maria Grazia Giammarinaro, UN Special Rapporteur on trafficking in persons, especially in women and children, who made a work visit to the island in April. Giammarinaro learned about Cuba’s commitment to combating people trafficking on the basis of its “zero tolerance” policy. During a press conference the UN representative highlighted the political will of the Cuban government toward tackling human trafficking, as well as the benefits of the country’s social system which helps to protect citizens. Meanwhile, July saw the arrival of independent expert on human rights and international solidarity Virgina Dandan to the island. Dandan emphasized the strengths of the Cuban system in regards to education, health and sports, and noted that the results of her visit would be presented in a report before the Human Rights Council in Geneva in mid-2018. On January 1, 2018, new migratory measures came into effect as part of the continual and irreversible process to update such legislation, underway since January of 2013. Eliminated was the “Habilitación” (authorization) of passports previously required of Cuban émigrés traveling to the country, and the requirement of «avecindamiento» (residence in Cuba for 90 days) for children of Cubans residing abroad, who were born outside the country, to obtain Cuban citizenship and identification documents; while the entrance and departure, to and from Cuba, of Cuban citizens residing abroad on recreational vessels was authorized. This group of measures, which were positively received by the Cuban community aboard, constitutes another example of the government’s willingness to continue strengthening ties with its citizens abroad and broaden their rights and those of their family members. Despite baseless accusations by the United States of “sonic attacks” against its diplomatic personnel in Havana, on January 18, 2018, Cuba was named “safest country for tourism” during the 38th edition of the International Tourism Fair (Fitur) in Madrid, Spain. The 2017-2018 general elections took place in Cuba, during which members of the Ninth legislature of the National Assembly of People’s Power were chosen. Over 12,000 proposals were made during 970 plenary sessions, held at both national and provincial levels by mass organizations such as the CTC, CDR, FMC, ANAP, FEU, and FEEM. Of the 605 deputies elected, 287 are constituency delegates with an average age of 49 years, while women make up 53.22% of representatives, making Cuba the country with the second highest number of female parliamentarians after Rwanda, with 61.3%. Voter turnout meanwhile was 85%, evidence of the validity of the Cuban electoral system. 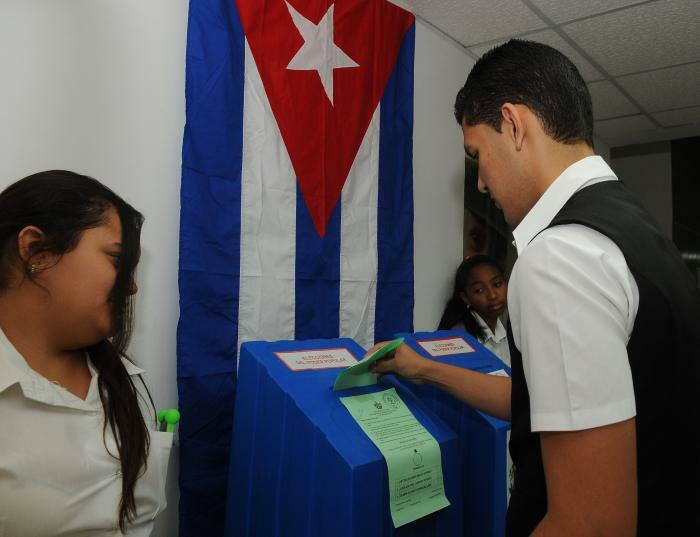 As part of general elections in Cuba, voting was also held to choose the new Council of State. Compañero Miguel Díaz-Canel was elected as President of the Councils of State and Ministers, signifying the handing over of the highest responsibilities of state and government from the historic leadership of the Revolution to the new generations. “There will be no space in this legislature for those who aspire to the restoration of capitalism; this legislature will defend the Revolution and will continue perfecting socialism,” stated Díaz-Canel before deputies. Cuba was chosen as the site to celebrate the 70th anniversary of the Economic Commission for Latin America and the Caribbean (ECLAC) and as president pro tempore for the 2018-2020 period. ECLAC Executive Secretary Alicia Bárcena, highlighted Cuba’s achievements and work done to create a fair and inclusive nation. “This country that welcomes us here today is a just one… it is testing its own ways to face the brutal human costs that it has sustained for more than 50 years of an unjust blockade,» stated Bárcena during the inauguration of the event, held in Havana, May 8-11.